Concox is an industry leader in the global telematics market and provides innovative solutions for the tracking of vehicles, assets and persons. Concox has been in business for over 15 years and now has a customer base in over 120 different countries. 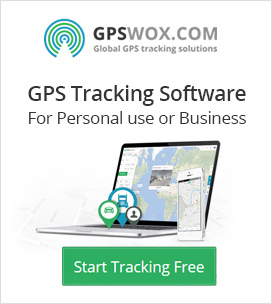 On a global scale, Concox is one of the top 3 GPS tracking manufacturers in China. With an extensive catalogue of GPS tracking hardware units and their own software platform called TrackSolid, Concox is a full service company that can provide it’s users with a complete solution from start to finish. Because Concox offers it’s own software to go with it’s hardware solutions, this makes unit setup even easier! When looking to track a number of assets in a mixed fleet, it is important to make sure that you are collecting the most relevant and actionable data from your assets. Having the right hardware and peripherals can certainly play it’s part in how much of this you can collect in the field. Concox has asset tracking devices which attach to shipping containers and heavy machinery, personal GPS trackers which are worn or carried in the users pocket and also fleet trackers for use in vehicles that are moving most of the time. Concox truly has the entire spectrum of tracking needs covered with it’s offerings. The TrackSolid could based tracking software allows for users to access their fleet data remotely. There is also a mobile application available for managing your fleet on the go. Paired with the advanced tracking capabilities that Concox has to offer the 2 blend together to create a complete tracking solution. The reporting on the Concox platform is not as in depth as others on the market, but it certainly gets the job done as far as the remote management and monitoring of ones assets. To recap this review, Concox offers quite a large number of tracking devices to meet the needs of tracking specific assets and parameters. This is great for businesses who have multiple types of assets that are out in the field. Also, paired with their own software, this is truly a full service GPS tracking company that can help businesses manage their fleets from start to finish!